What's this? Makeup Geek has been on my radar thanks to so many American youtubers for a while now, and when they launched in the UK on Beauty Bay, I was so eager to try them. However, their shade range is so huge I didn't know where to start! Then, I watched this video of PatrickStarrr's where he did makeup on Chloe Morello, and I was sold on the colours he used: Peach Smoothie, Frappe, Cocoa Bear, Americano and Grandstand. 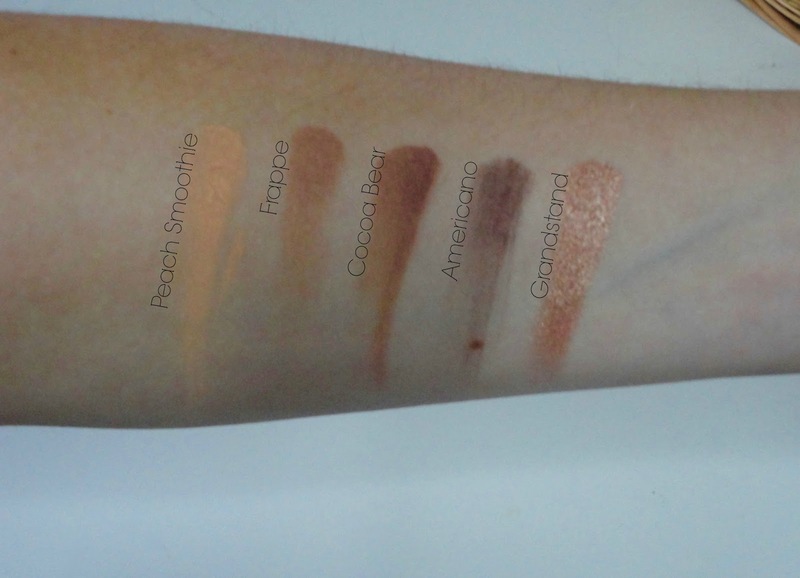 Peach Smoothie is a light matte peach, Frappe is a light neutral brown, Cocoa Bear is a warm brown, Americano is a cool dark brown, and Grandstand is a foiled pinky gold shade. Where do I get it? For the UK, find Makeup Geek on Beauty Bay. The regular shadows at £4.95, and the foiled shadows (like Grandstand) are £7.95. They also stock the contour pans, duo chrome shadows, blushes, sparklers, loose pigments and brushes. The Pros... These eyeshadows really do live up to the hype. Really pigmented and long wearing, the shades are so unique and these 5 shadows create the most beautiful smokey eye. To see me wearing this look, see my Instagram posts here and here. For the price, they are fantastic value for money, and I'm already eyeing up my next purchases! The Cons... I really don't have any major cons for these - seriously, if you're an eyeshadow obsessive like me you need these in your life! The only thing I'd be a bit cautious of is the fallout - as the shadows are quite powdery, I always make sure to tap off excess on my brush before applying it, and being aware of any fallout under my eyes! What do you think? 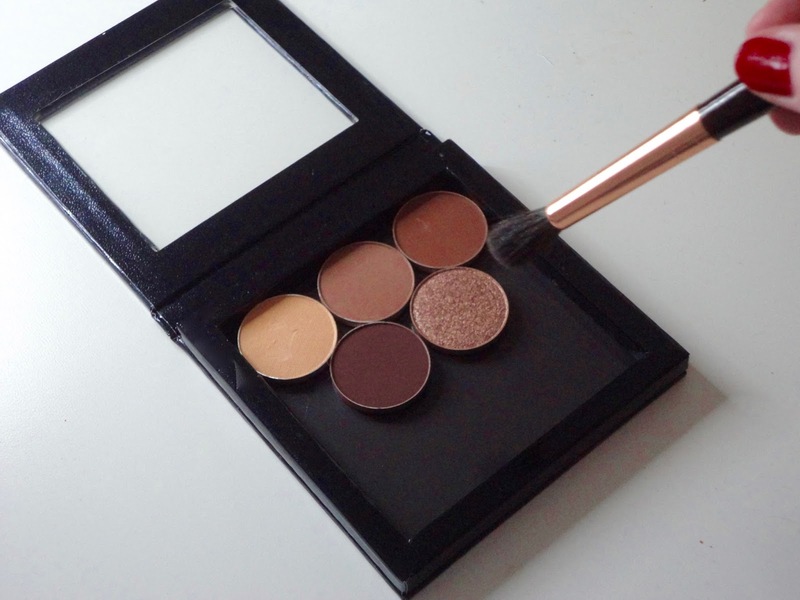 Are you sold on Makeup Geek shadows? Let me know if you've tried them and what you think in the comments!